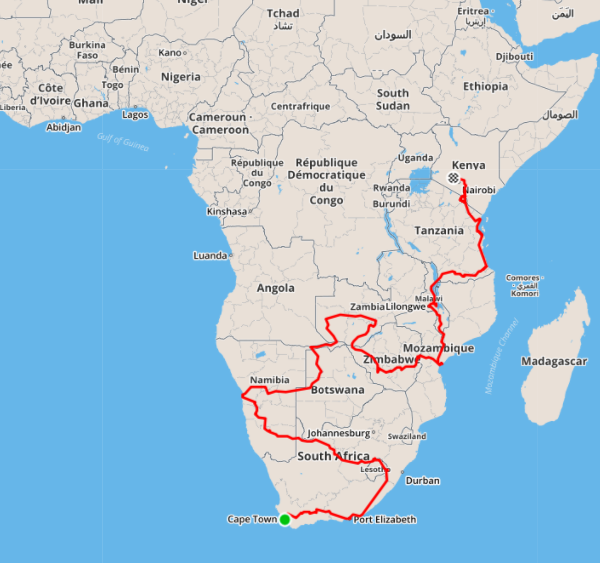 From November 2011 to November 2012 Shane travelled for 14,000km through Africa from Cape Town to Nairobi, 11,000km of which was by bicycle. The original plan was to cycle from Cape Town to Europe, but for reasons that become obvious as the story unfolds the journey ended in Nairobi. You can also use the “Posts by Country” menu on the right to read blog updates by country.